My personal favourite photo-editing software is the Adobe Photoshop CC. This program offers a staggering amount of options, and is really easy to use. The subscription fee is £8.50 a month, but you can sign up for a free 30-day trial here (not sponsored!). I wholeheartedly believe that this is a worthy investment if you're serious about blogging. Photoshop is perfect for quick and effective photo touch-ups, and you only need to be familiar with a few basic functions to truly transform your images! 1. Brighten up your photos! The main challenge in taking quality blog photos is getting enough light. If you don't have a professional light kit, you pretty much have to rely on the weather to provide you with enough sunlight. This can be a little tricky, especially during colder months when days are short and it gets dark way too early. Thankfully, there is one Photoshop function which can help you fix most of your lighting issues. 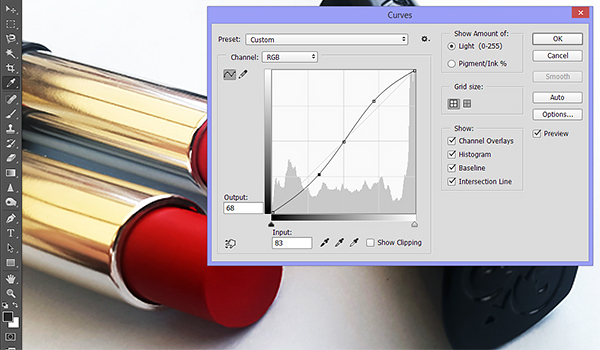 In Image > Adjustments, you can find the Exposure tool. Set the exposure level to be anywhere between +0.25 to +0.75 (the darker your photos are, the more exposure you'll want). This will 'saturate' your photos with light in a very natural-looking way. You can also adjust Offset and Gamma Correction levels, although I tend to leave these out. This tool is much smarter and more controlled than the standard Brightness function, and will make your photos look a lot more professional. 2. Boost up the contrast! I find that even with enough light, a lot of my photos end up looking a little bleak and lifeless. Phone cameras aren't great at capturing colour and contrast, and this is where the Curves tool comes in handy (you can find it in Image > Adjustments). 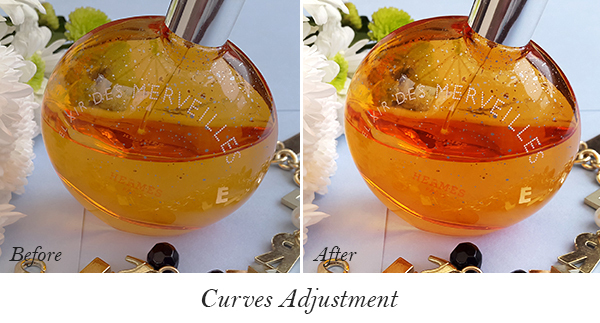 The Curves tool allows you to add more contrast and colour depth to your photos by adjusting the image's tonal range. This is represented as a straight diagonal line, which you can then modify by adding control points and moving them around. I'd suggest playing around with this tool a little to see what you can come up with. It's really fun, easy to use and much more controlled than the standard Contrast tool. My usual technique is to adjust the curve to resemble a rough 'S' shape, which brightens up the highlights and intensifies the shadows in the photo. 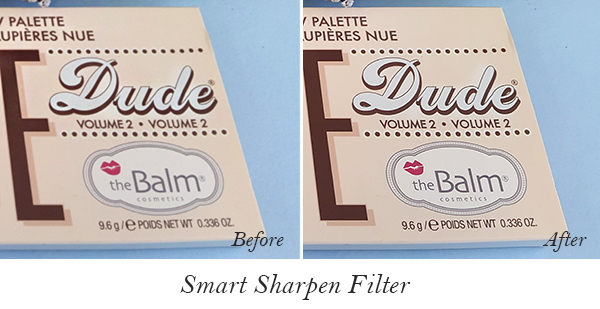 The Smart Sharpen filter (found in Filters > Sharpen) is one of the most basic and useful tools available in Photoshop. 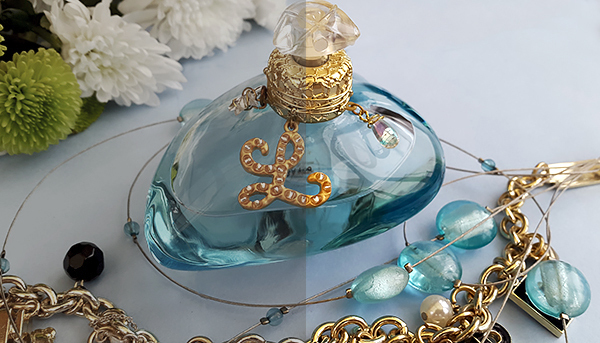 It's especially helpful if you have a photo of a product with some writing on it, and want to make the details a little clearer. A lot of bloggers recommend using the standard Sharpen tool, but I find Smart Sharpen to be a lot more controlled and effective. You can adjust the sharpness of the whole image, or just the selected highlights and shadows. Personally, I like to adjust the 'Amount' to be anywhere between 25-60%, depending on how blurry the photo is. 4. Vibrancy and colour play! Adjusting Vibrance (found in Images > Adjustments) is usually the last step in my photo-editing routine.This tool allows you to slightly intensify the image colours, which adds a lovely finishing touch to your photos (I usually adjust Vibrance to +15). If you think that the colours in your image are still a little bleak, you can also increase the Saturation level, but be careful not to overdo it - this filter tends to be a little too strong for most blog photos. 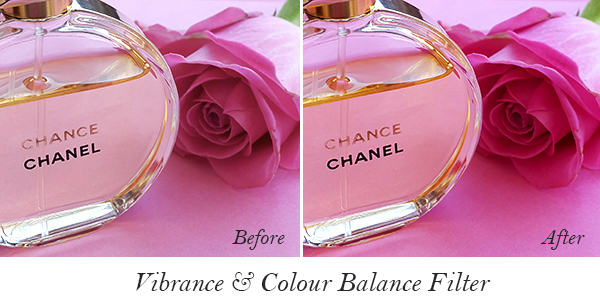 Color Balance is an optional tool, typically used for general colour correction. If you find that the lighting in your photo made it look a little 'yellow', you can use this filter to fix it by saturating your image with warm/cool tones. I don't use this function very often, but it has proven to be very useful in certain situations. Something to note: I recommend avoiding photo filters if you are working on makeup swatch photos. The last thing you want is for your swatches to look fake and over-edited - keeping them true to the actual product is very important! Whenever I re-touch swatch photos, the most I do is boost up the Exposure level and use the Smart Sharpen filter. I hope you found these tips a little useful! Remember, you can get a free Adobe Photoshop trial for 30 days so even if you don't want to commit to a monthly subscription, it might be fun just to try it out. 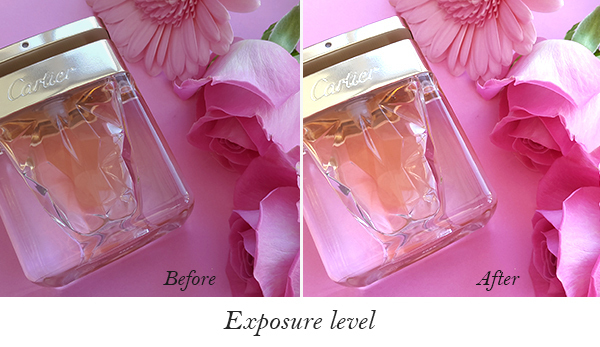 Let me know if you enjoyed this post, and would like to see more advanced photo-editing tips. Do you edit your blog photos? What programs do you use?